I had the enormous privilege, as a young legislator, of meeting President Reagan on his visit to London in June 1984, the 40th Anniversary of the D-Day landings. So it is a great honour to be here at the Reagan National Defence forum - in the Presidential library itself - to offer an international perspective on US National Defence at such a momentous time not just for US and UK politics but for our collective security. First, it matter to all your allies that America remains an outward looking nation. President Reagan famously said: “Freedom is never more than one generation away from extinction”. It seems every week offers a stark reminder of the threats our nations face - not just from global terror but from state-on-state aggression, nuclear proliferation, and cyber attack. These threats undermine the rules-based order on which US and UK security and prosperity, alongside that of ourAllies and partners, depend. So we must stick together working internationally to front up to terror, speaking out against aggression, and standing up for freedom. As ever, Reagan was right. US national security, like our national security, still relies on the international system and institutions we put in place after World War II. Above all, it depends on what the 40th President called our great “shield for freedom, for prosperity, and for peace” - that is, NATO. So to my second observation, NATO is as good for the US as it is for Europe. Let’s remember, it was the Alliance’s collective commitment that invoked Article V after America was attacked on 9/11. Let’s remember, the commitment of 50 nations mobilised by NATO against Al Qaeda in Afghanistan. Today NATO and the US’ closest Allies underpin and enable US foreign policy supporting fledgling democracy in Afghanistan, guarding East European Allies from Russian aggression, countering Daesh terrorism in Middle East, and reinforcing the rules-based international system in Asia-Pacific. We also bring unique assets to the table, allowing the US to draw on Allies, their forces and their bases offering interoperability and capabilities to deliver complex operations not just in Europe but well beyond and sharing the nuclear deterrence burden through the UK and France’s independent capabilities and the basing of dual-capable aircraft in Europe. It is also worth reminding ourselves that even without the US, NATO nations are big defence spenders collectively investing $240bn on defence a year. It should be more but it is $25 billion dollars more than China and more than triple Russia’s defence spending. I agree with your President and your President-elect that many NATO nations still need to do more to pay their way and the US taxpayer should no longer shoulder a disproportionate burden. Yet our joint leadership is changing things. 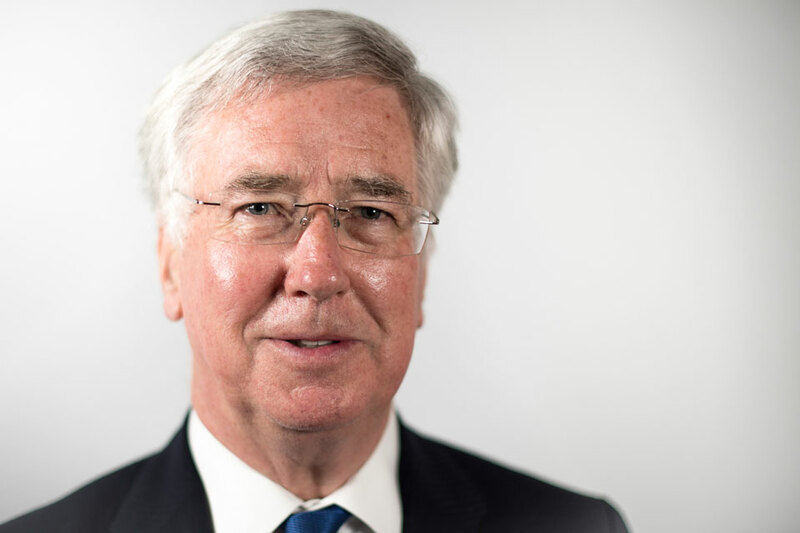 Since the UK summit in 2014, the defence investment pledge has not only halted NATO’s decline in defence spending but reversed it with 16 of the 28 allies agreeing to raise their game. Almost every NATO nation is offering contributions to the Very High Readiness Joint Taskforce which the UK leads in 2017. While the US and the UK are among four framework nations leading an Enhanced Forward Presence in the Baltics and Poland. These nations are doing more not just because they don’t want the US to stand alone, but because they recognise we are in strategic competition with Russia. Russia’s actions in Crimea and Ukraine have tested the alliance. You only have to visit NATO’s eastern flank to understand the acute sense of vulnerability that abounds. Dialogue with Russia is useful. Our unity sends a powerful signal of collective strength to potential adversaries. The US administration has always stood up to Russian intimidation. That was how Ronald Reagan and Margaret Thatcher helped bring down the iron curtain in the 80s. My third point is that we view the arrival of a new US administration as a moment to further tighten our bilateral defence ties. In saying that, I pay particular tribute to Defense Secretary Carter, a champion of our co-operation whose long-lasting legacy and pursuit of innovation will ensure our nations maintain the joint capability needed to keep ahead of the curve for generations. Under Ash’s leadership we’ve seen a raft of exciting opportunities emerge. The UK has recently been selected to be a global repair hub for F-35’s avionic and aircraft components. We’re investing billions in US attack helicopters,maritime patrol aircraft, and other systems. Today I am announcing we are signing a £100m contract with General Atomics Aeronautical Systems Inc to develop the Protector Remotely Piloted Air System. Our Reapers have shown their worth in the last two years tracking and targeting Daesh. A broader question is how can we make our relationship even more profitable and mutually beneficial? Part of the answer lies in making our collaboration more of a two-way street. We have a shared supplier base and, while we buy a lot from you, we believe you’ll benefit by buying more from us. The benefits in terms of enhanced efficiency, improved joint working and increased innovation are clear. In a few days’ time, we’ll remember the tragedy that struck out of a blue sky 75 years ago at Pearl Harbour. Next year we’ll reflect on a century since the first doughboys crossed the Atlantic. Those events forged the closest of partnership between our nations. A partnership sustained throughout the modern era from the Gulf War 25 years ago to Afghanistan and Counter Daesh today. Our partnership works, not just because we enjoy a shared history, shared language and shared culture but because we share the same devotion to equality, democracy, and freedom. History tells us we must make the case for that freedom in every generation. But it also teaches us something else. Our freedom is never more secure when our two great nations and our Allies stand together. In my view, that must remain the fundamental premise of US defence policy.